Intimidated by baking pies? In this workshop, we will learn an all-butter pie crust, talk about blind-baking and crimping the crust, and finish it with a seasonal filling. Ingredients are key to a good pie so we’ll spend plenty of time discussing those too. 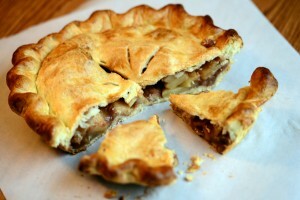 By the end of the workshop, you’ll have a freshly baked 10-inch pie to enjoy with your family.